An explosive vision of contemporary Brazil's underbelly by one of our greatest investigative reporters. 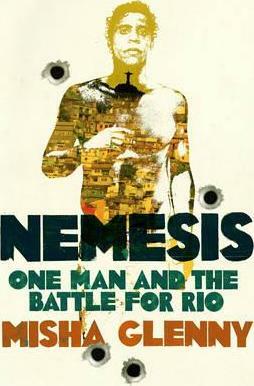 This is a book about a man known as Nem; about Rocinha, the slum or â€œfavela" he grew up in and came to run as a private fiefdom; about Rio, the beautiful but damned city that Rocinha exists in; and about the battle for Brazil. Nemesis pans in and out from the arc of Nem's individual, astonishing trajectory to the wider story of the country that he exists in. It's about drugs and gangs and violence and poverty. It's about a man who made a terribly dangerous and life-altering decision for the best and most understandable of reasons. And it's about the wider forces at work in a country that is in the world's spotlight as never before and is set to stay there. Those forces include the evangelical church, bent police and straight police, drug lords, farmers, TV magnates, crusading politicians, and corrupt politicians. And what they are engaged in is nothing less than the battle for Brazil's soul.